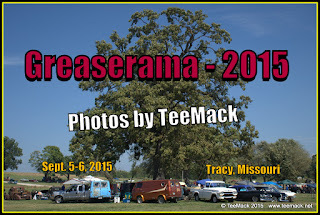 The 15th Annual Kowtown Greaserama Car Show was held at the Platte County Fair grounds in Tracy, Mo. on Sept. 5-6, 2015. The annual event is hosted by los Punk Rods and is the Midwest's Largest Original Punk Rock Car Show. The show is open to vehicles pre 1964 cars and pre 1972 trucks and vans. Among the vehicles are old school low riders, rat rods, hot rods, jalopies and everything in-between. It's a combination of Gear Heads, Rockabilly, Punk Rock, Junk Yard Dogs, Gothic and Pin-up Girls. Vehicles owners from all over the Mid-west look forward to this event every year. The imagination, ingenious and creative workmanship on some of these vehicles can only be experience by attending the event. 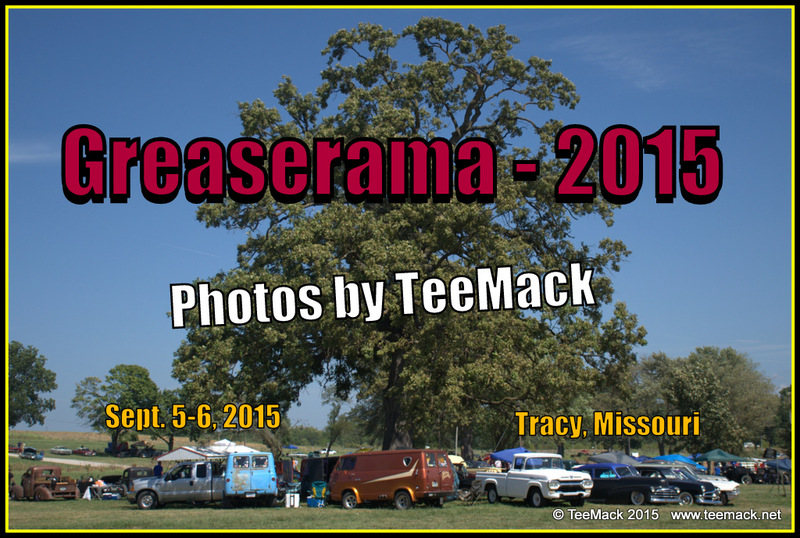 Click here to view individual photos of the 15th Annual Greaserama or to purchase high quality prints.